Injured in an ATV or RV Accident? You were on a weekend getaway and the last thing you expected was to get into an accident. Sometimes it’s tough to know who to contact to recover damages when involved in an recreational vehicle accident or all-terrain vehicle accident. 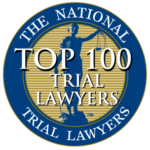 Our firm is experienced in these unique accident injury cases. Many people do not have proper insurance on their vehicles. If you were on a rural trail or highway the police might not even have access to the scene of the crash or aren’t contacted at all. They may not create a detailed report even if they are called. You may be unsure of who is legally at fault or if it can be determined at all. However, you are not alone. Our firm has handled a variety of RV, ATV, and mobile home accidents and secured fair compensation for our clients. 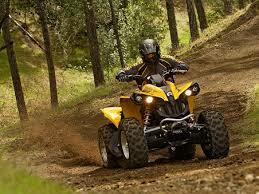 In 2012, 353 ATV accident deaths occurred. This number has been dropping since 2007, but it is expected to pick back up as ATVs grow in popularity with younger children. 107,900 ATV accident injuries landed riders in the emergency room in 2012. Injuries most often occur to the arms, head, and neck. Our legal services are contingency based, meaning you do not pay us a fee unless your case is settled or litigated in your favor. We believe this guarantee is only fair and equitable, as you were the one who suffered the injury, and it is our job to protect all of your interests. If there is no monetary settlement or jury award, you do not pay us any fees or case expenses. You need to feel confident in selecting an attorney who is right for you. We will talk with you and listen to your concerns, and relieve some of the uncertainty and stress you are under. Our free consultation is an opportunity for you to discuss your motorcycle accident with us and obtain solid information and advice. Contact us today so we may answer your questions. ATV accidents can be very complicated – particularly figuring out who is responsible. The owner of the ATV may be responsible, and you may need to file a claim against that person. If you were riding on a trail that was damaged in some way (like if it had huge holes, dangerous slants, or other defects), the person or organization that owns the trail may be responsible. In those cases, you may need to file a claim with the insurance company that provides homeowners insurance for the property owner, or against the owner personally. Finally, you may have a product liability case if the ATV itself was defective or unsafe. At The Boerst Law Office we have many years of experience representing people injured in accidents – including those hurt in ATV accidents. We’ve seen how much families struggle when their loved one was supposed to have fun, but instead ended up with serious injuries. Our lawyers and staff are prepared to handle every hassle or concern involving your ATV injury case, so you can focus on getting better. 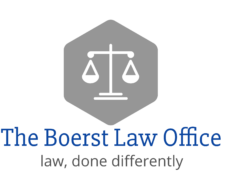 Rely on The Boerst Law Office for the experience and resources to get the compensation you need. 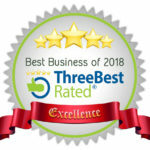 Trust our experienced attorneys and legal staff to treat you with high standards of client care. Finally, have peace of mind knowing that there’s never a fee unless we get money for you.